Clove Oil for Treating Acne - Say Goodbye to Acne, Pimples & Scars Naturally! Acne is known to be a common skin problem among women; especially those with an oily skin texture. If you are also suffering from acne problem and are in search of an easy yet effective solution at hand, scroll below to learn more. Trying to cope in this modern age of pollution and improper lifestyle? Skin problems are definitely on the rise and you are not alone. According to experts, more than 75% of women suffer from acne problems of various types – blackheads, cystic acne, whiteheads and lots more. The most prominent cause that is widely considered with this skin disease is clogging of skin pores when hair follicles get stuck in the dead cells of skin. Most prominently observed in upper body areas such as neck, face, forehead, back etc. acne can damage the self-esteem of an individual. Skin specialists are of the opinion that nowadays girls in their teens and twenties are rapidly suffering from anxiety, low confidence, stress and several other mental diseases due to this skin ailment. Considered to be a simple yet long term skin problem that can affect any age group, acne tends to grow more in case of negligence and irregularity in regular beauty regime. It also results in several early signs of aging such as pimples, scars, crow feet and more. Genetic problem: Several ethnic groups, most prominently Asian, are prone to acne skin disease through genes. They tend to inherit the skin pattern and problems from their family history. Hormonal problem: Imbalance of hormone in a woman’s body is also a prime cause for acne. It is proved medically that having a higher level of androgen can affect the skin texture badly by giving birth to acne bacteria. Lifestyle: Stress, improper diet and insufficient sleep is another cause that gives rise to aging signs and skin issues. To enjoy youthful and flawless skin, it is suggested that you upgrade your lifestyle in a disciplined manner. Browse through the market and you will easily find numerous cosmetic products promising to cure your acne successfully. While these over the counter creams and lotions can help you get rid of acne, there is nothing better than natural remedies to try out. Clove oil is recognized as a magic solution to bank on. 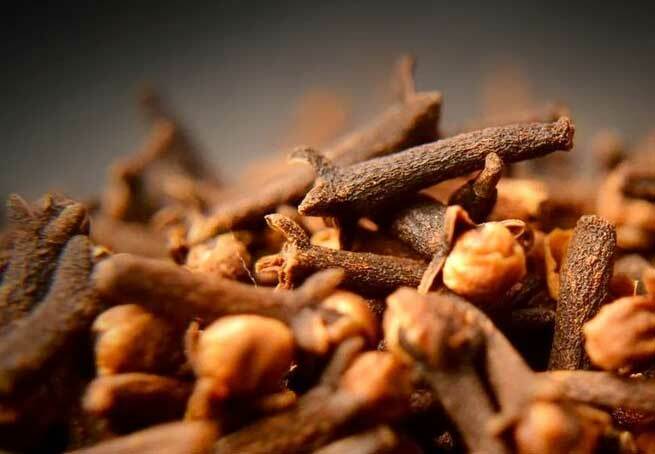 Loaded with benefits, clove is a great healer that has antibacterial, anti-inflammatory and anti-septic properties, thus treating your acne problem in a soothing and natural manner. It has eugenol that infiltrates deep into the skin, helps in destroying the acne bacteria and also relieves from any redness or swelling on the skin. However, it is always advised that you should use it in proper way to enjoy maximum benefits. Clove oil should be used in most cases as an emergency solution. At the same time, it is necessary to take dermatologists approval before use as the skin type of every individual is different. 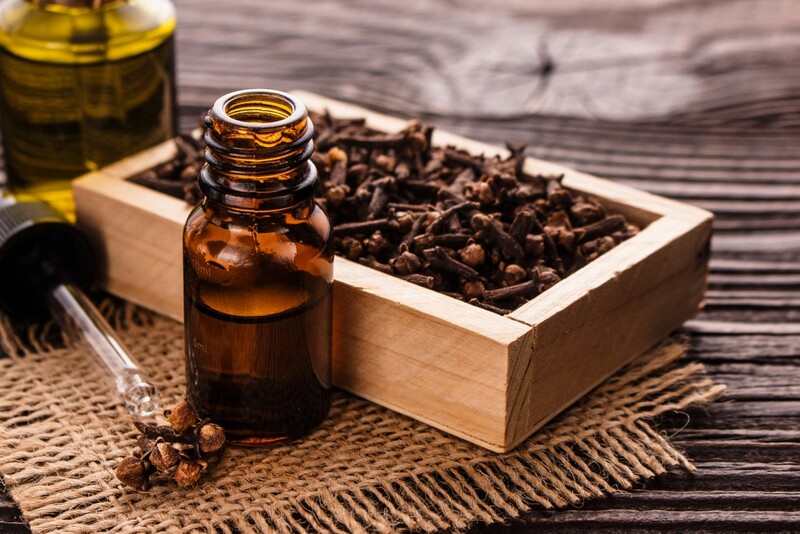 Here is a proper guide to use the clove oil effectively for best results. The most important rule when you are using clove oil is to never use it alone. It is very strong in nature and can cause burning sensation to your skin and in some cases aggravate the situation also. So mix it with other oils or ingredients before applying on your skin. Even after you dilute the oil with other ingredient; it is essential that you apply it on a small part of your body before applying on face. Know that your face skin is the most sensitive, therefore you should not apply anything without testing on other body parts. Only after you apply clove oil on a small body part and do not feel any reaction or irritation, then only you should apply it on your face. Clove has a very strong essence that can make your skin itchy, red and sore with a burning sensation if kept for a long time. Make sure that you do not keep it applied on your face for a long time. So after you have applied it on your face, you should wash it off with cold water. After washing it off simply tap your skin with clean towel. And apply some soothing lotion on it. 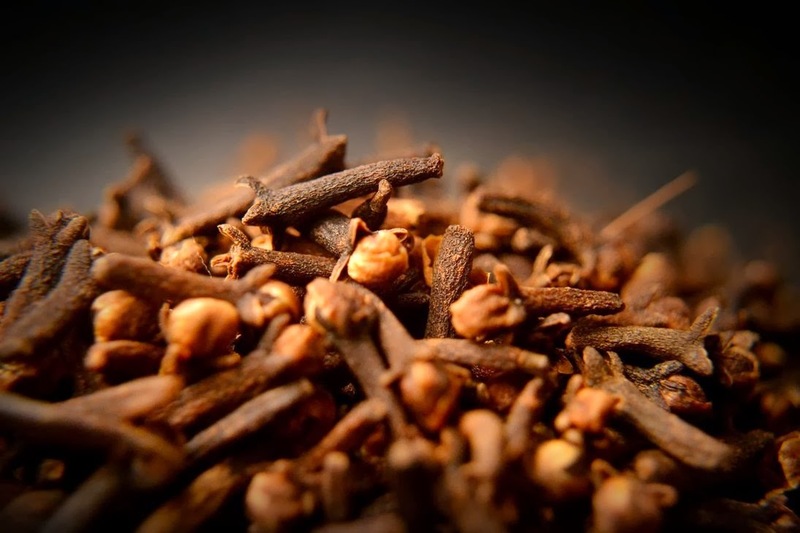 Remember when you are making a mixture, for every drop of clove oil you should take 10 drops of the other ingredient. Clove oil which is very strong should be mixed with mild oil like olive oil. Apply the mixture on the affected area of your skin and let it dry for 20-25 minutes. After it dries, wash it out and feel the difference. Coconut oil is soothing and has excellent skin benefits. Therefore mix coconut oil and clove oil and apply on your skin with the help of a cotton ball. Wash it off once the mixture dries well. You shall see that your skin texture is also improving along with vanishing acne. The moisturizing lotion that you apply daily on your skin can be handy for this solution. Add a few drops of clove oil to your moisturizing lotion and use regularly. You will see the difference in your skin and witness less inflammation. If you apply makeup frequently, then add few drops of clove oil in your foundation. You will see that when you remove the makeup there will be less itching and your skin will appear more flawless.